Rediff.com » Movies » Shahid, Mira have a son! Shahid, Mira have a son! IMAGE: Proud parents Mira and Shahid Kapoor. 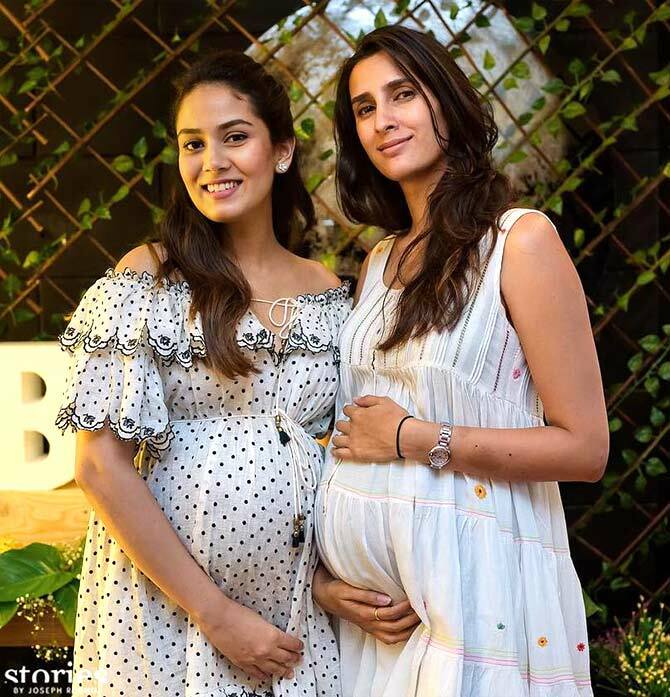 Photograph: Kind courtesy Mira Rajput/Instagram. 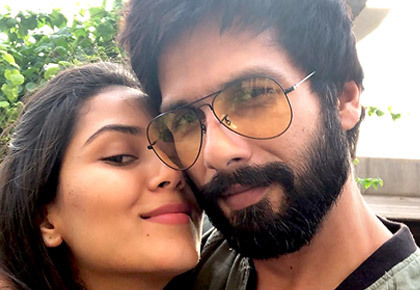 Mira Rajput and her husband Shahid Kapoor now have a son. The couple, who wed in 2015, have an adorable two-year-old daughter, Misha. Shahid gets clicked outside the hospital, with Misha. 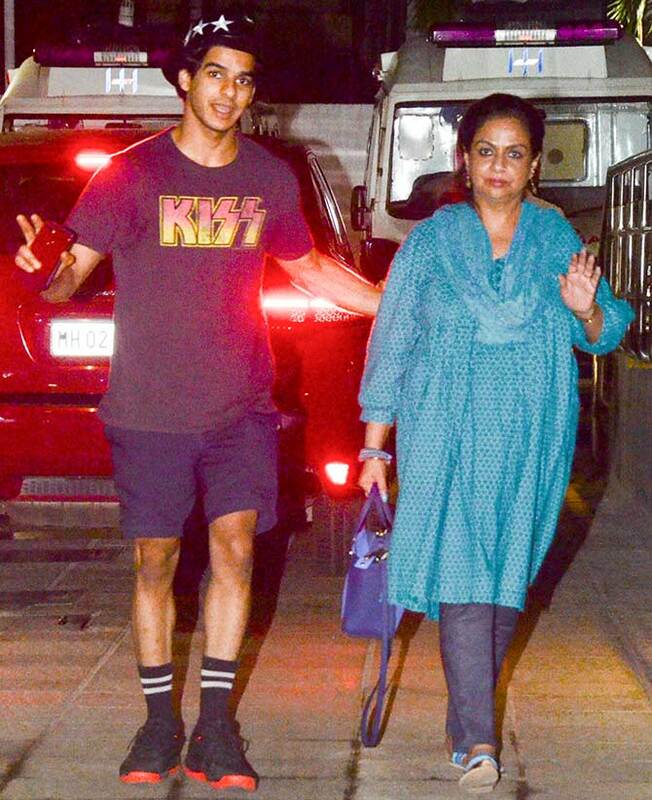 Among the first to arrive at Mumbai's Hinduja Hospital, where the baby was born, was Shahid's actress mother Neelima Azim and his brother Ishaan Khatter. IMAGE: Ishaan Khatter with Neelima Azim. Photograph: Pradeep Bandekar. Neelima Azim could barely contain her joy. "I feel on top of the world!" she exclaimed. "God bless the couple and their children. Now my elder son's family is complete. I feel very emotional about it, and profoundly happy." "My jaan Misha has her own baby brother now. She is a wonderful little girl and she will be a very a caring didi. To be a grandma a second time... I can't express my happiness. I feel gloriously blessed. God is very kind," she said. "Both my boys are very special," the proud mother added. "They take very good care of me. I share a terrific bonding with both of them, and they are very close to one another." Alia Bhatt, who worked with Shahid in Shaandaar and is close to Mira, was the first one to wish the duo. Guess who this cutie pie's daddy is? 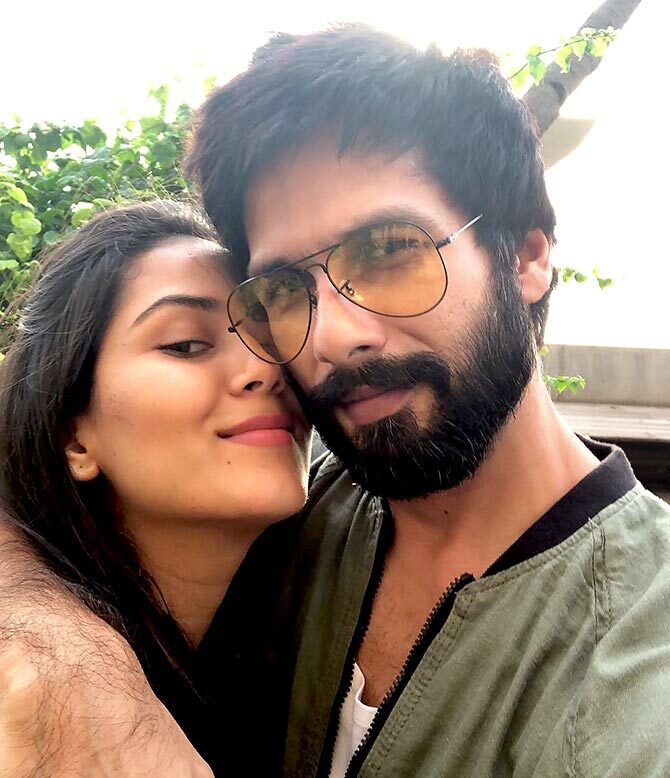 Shahid Kapoor's SUPERSTAR life, in pictures!